Oh hey… it’s me again. I know things have been quiet here for a while. I’ve had a few things going on that have kept me really busy away from the blog, but it feels like life is finally settling into a new normal. Which I guess makes it a little ironic that I’m coming back with a recipe that’s the exact opposite of hot food, but hey, it’s summertime! As it happens, it’s also Chocolate Ice Cream Day today. Bonus. I suppose I could’ve just celebrated with a scoop of chocolate ice cream, but that’s kind of boring. Instead, I’ve sandwiched that ice cream between two super-thin layers of homemade brownies. 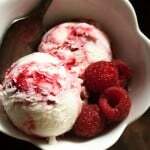 It takes a little more work than just scooping some ice cream into a bowl, but it’s oh so worth it. 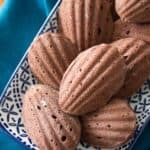 It starts with what is basically my go-to brownie recipe, which goes heavy on the chocolate, butter and sugar, and light on the flour – in other words, a slightly more solid version of fudge. 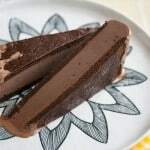 It’s spread into a jelly-roll pan and baked until just barely set, making it just thick enough to stand up to the weight of the ice cream, and yet thin and soft enough to remain perfectly bite-able right out of the freezer. If you’ve ever stuck a brownie in the freezer, you know exactly what kind of deliciousness awaits you. 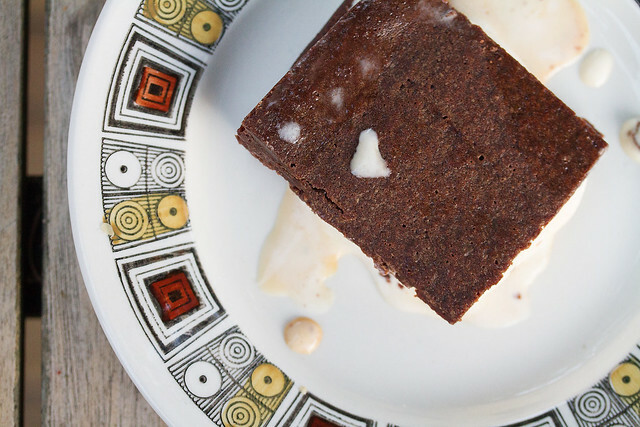 There’s something about the cold that accentuates the chewiness of the brownie, which turns it into the ideal vehicle for the sweet creaminess of your favourite ice cream. And speaking of ice cream, when it comes to the filling, the possibilities are only limited by your imagination (well, that and the ice cream selection at your local supermarket, I guess). I suppose I should’ve gone with chocolate ice cream, but I decided to go the classic ice cream route with plain ol’ vanilla with a swirl of salted caramel sauce. I leave it up to you to choose your own adventure… play it safe with vanilla or chocolate, get a little more adventurous with mint chocolate chip or strawberry, or turn these into a properly grownup treat with a robust espresso gelato. Just get these into your life. 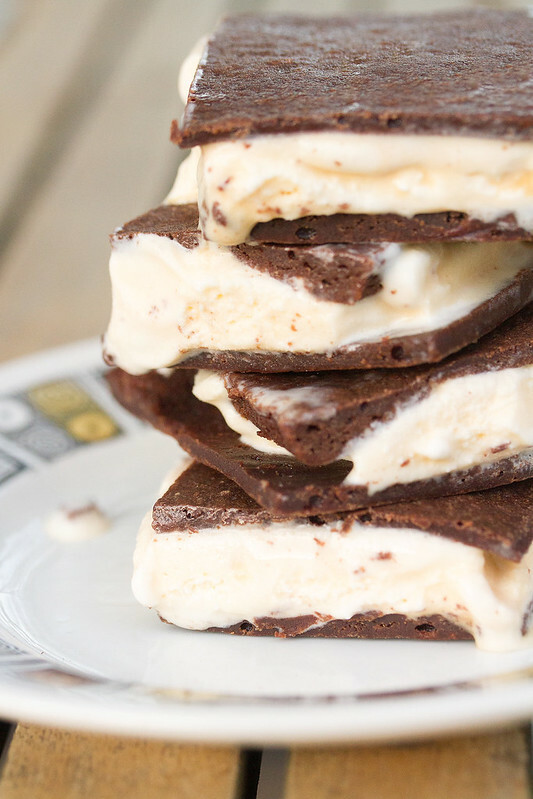 Layers of chewy, fudgey brownies plus your favourite ice cream flavour and swirls of salted caramel or hot fudge sauce equals perfect summertime bliss. Preheat oven to 350°F. Lightly grease an 11″ × 17″ jelly roll pan. Line the pan with parchment paper, leaving an overhang on either side to make it easier to lift out the brownies once they’re baked. In a small saucepan set over medium heat, stir together the chocolate and butter until melted and smooth, about 3-4 minutes. Remove from heat. In a large mixing bowl, combine the melted chocolate with sugar, vanilla extract, and salt. Add the eggs one at a time, beating well after each addition, then whisk in the flour and stir until smooth. Scrape the batter into the prepared pan, smoothing it out to create a thin, even layer. Bake in preheated oven for about 8-10 minutes, or until the top of the brownies looks set and dry. Set the pan on a wire rack to cool completely, about 30 minutes. Once the brownies are cooled, cut the brownie layer in half widthwise to create two rectangles, and place in the freezer for 10-15 minutes to firm up. To assemble the sandwiches, run a knife along the edge of the pan to loosen the brownies. Carefully lift one of the rectangles out and transfer to a wire rack, leaving the other half on the cookie sheet. Using the parchment, carefully flip over the brownie layer in the pan, so that it’s now top-side down. Remove the parchment paper. Working as quickly as possible, scoop the ice cream onto the brownie in the pan and drizzle with salted caramel sauce (if using). Using an offset spatula, gently press the ice cream into an even layer. Carefully place the second brownie half on top of the ice cream, doing your best to align the two layers. Wrap tightly with plastic wrap, and transfer to the freezer for at least 2-3 hours, or until completely frozen. 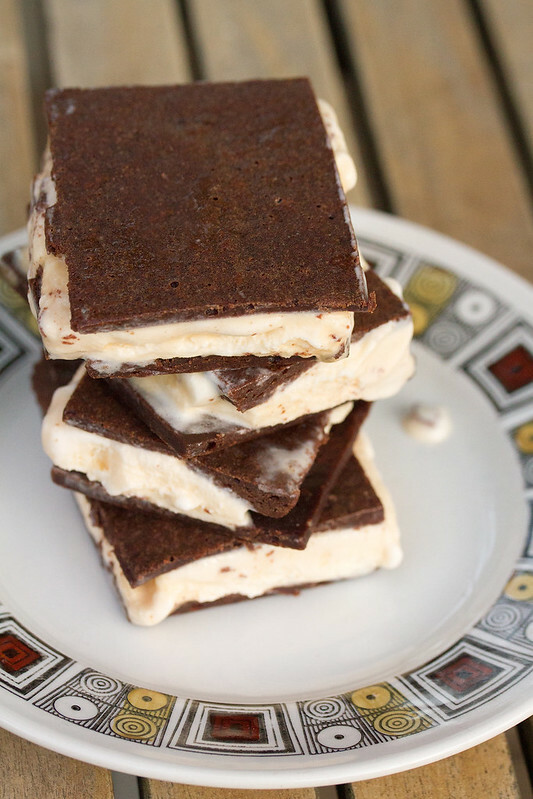 Once the sandwiches are thoroughly frozen and the ice cream has firmed up, cut into 16 squares and serve. 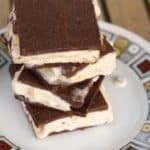 Any ice cream sandwiches that aren’t being eaten right away can be tightly wrapped with plastic wrap, and stored in the freezer until ready to eat. It’s National Chocolate Ice Cream Day! 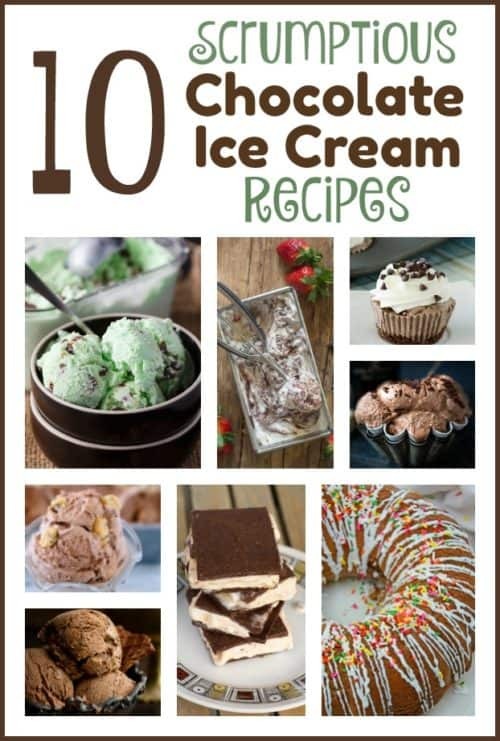 I’m joining up with some of my favourite bloggers with 10 cool-as-ice and sweet-as-chocolate treats to celebrate. These look awesome, I’m going to try them this weekend. Thanks! Brownies and ice cream are a perfect match. Can’t go wrong with them. Brownies AND ice cream? Yes please! 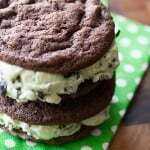 I love a good ice cream sandwich so I know I’m going to love these! Nice. Perfect for hot months, and where I live I have a lot of them!